What made you become a stylist? I've always loved displaying pretty objects, putting colours together and looking at inspiring images in books & magazines. Also during my time at Collage studying an HND course in Surface Pattern, I came across a job description on the Internet of an Interior Stylist as soon as I read about the job role I knew that I had found my career! You are releasing your 3rd interiors book 'homespun' - tell me a little bit about it? Homespun Style is full of ideas for every room in the house, its a look that celebrates customized furniture and hand-crafted pieces. It's cheerful and loaded with popping colours, showcasing inspiring homes from around the world, the book reflects the growing trend for crafting, stitching and making. But you don't have to be able to 'make do and mend' yourself the Homepsun look is also about supporting artists and crafts people, as well as the up-cycling trend and buying second-hand pieces. Finally its about creating a a mis-matched, cosy home with loads of personality. What makes this book different to the other two? Homespun Style is focused on decorating with handmade pieces whereas Bazaar Style had more of a Global feel with Indian, Moroccan influences and Romantic Style has a more Pretty, playful feel. Colour is a common theme through-out my books as well as decorating with affordability, all three books have plenty of ideas for your home which are assessable as well as affordable with interesting ideas for colour schemes. How did the idea come about? The Homespun book is something I'd been thinking about for a while, it came together more as an idea for a book when I started researching homes with a hand-crafted feel. With the current economic situation I wanted to produce a style of decorating which is easy to achieve and which supports craftspeople and makers. Plus I'm a big fan of making my own cushions, up-cycling and buying second-hand!! What has been your favourite aspect of putting the book together? I enjoyed the whole process it's great researching the idea and sourcing suitable locations, then meeting the lovely homeowners and styling the rooms. It's also fun meeting up with writer Joanna Simmons to talk through my ideas for the book. Plus I love the build up to the release, I'm often busy at this time doing interviews and organising the book's Launch Party. 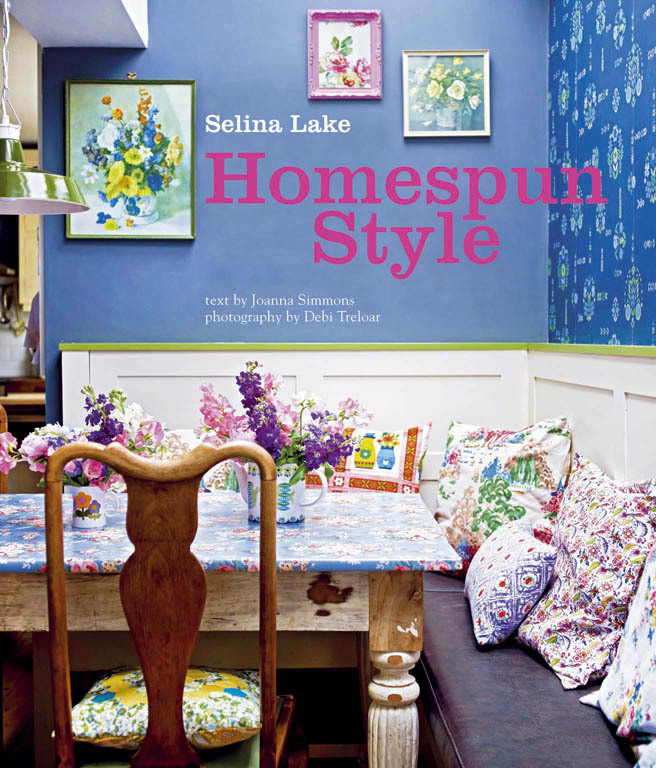 Selina will be hosting a Homespun book event on Friday 13th April. Click here for more details.